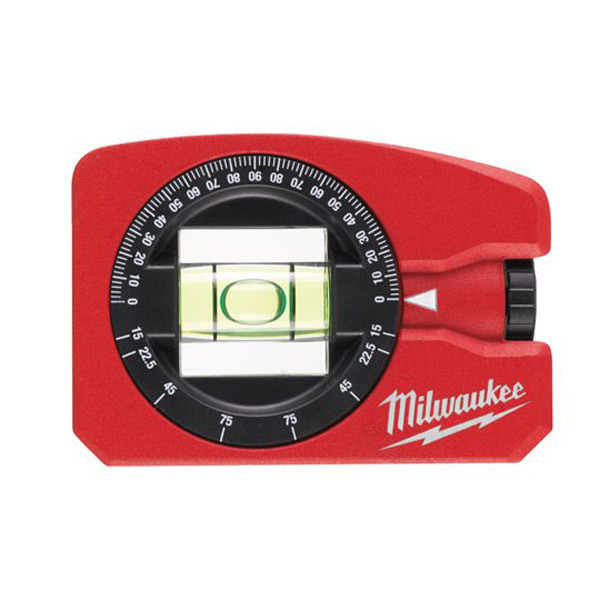 This easily portable pocket level from Milwaukee incorporates a 360 degree vial for reading angles as well as a locking mechanism for repetitive use. The Amplified Rare-Earth magnets offer maximum holding power, and the milled edge guarantee accurate readings. This coupled with the v-groove ensure the user is ensured accurate readings on multiple surfaces including flat edges and pipes.